My boss! It's all his fault!... "There's a charity clay shoot in my local village on Saturday Karen, you up for it?!".... That one sentence spun me into all kinds of scenarios in my head....I'd NEVER picked up a gun in my life...ever!..How was I supposed to impress the boss and his friends? How do I even hold the gun? I've got to at least hit one clay? And at least look like I know what I'm supposed to do with a long pointing stick?! So lessons were booked at the local shooting ground (Woodspring Clay Ground, Wick St Lawrence)...actually on the same day as the charity shoot (talk about cutting it fine! 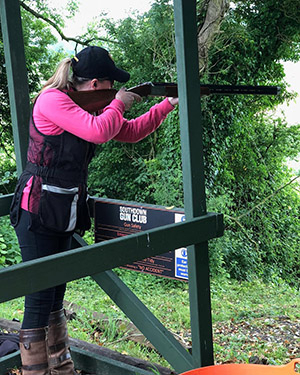 )...Had a one hour lesson with CPSA instructor Andy Bryne..to which he (unbelievably) had me hitting clays before the hour was up!...Then toddled off to the charity shoot, looking good, feeling good, hitting a few clays (literally 3!) and had an amazing time!..From that point on, I was hooked on this fantastic sport! 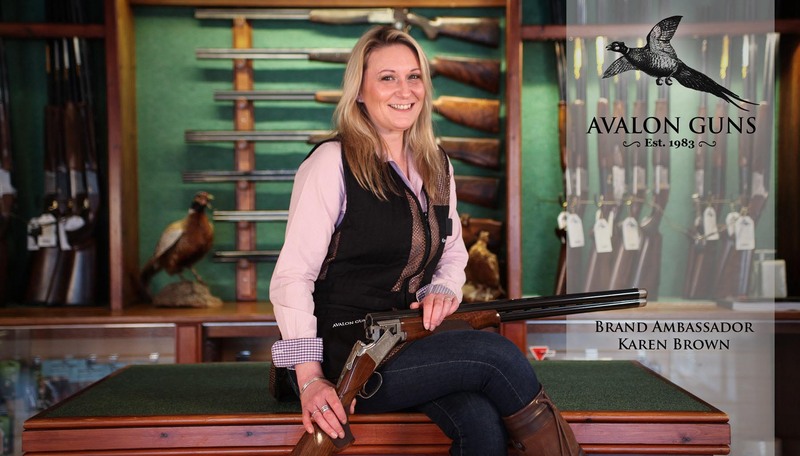 Eventually, a year on, here I am, entering registered CPSA competitions, winning ladies, collecting winning trophies from charity shoots across the South West, and thoroughly enjoying this amazing world of girls and guns! 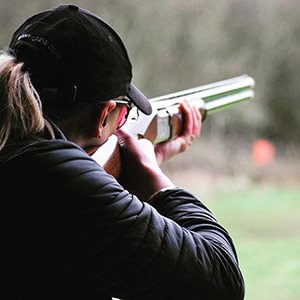 Onwards and upwards I say...I'm still not at all near my full potential, but just you watch this space because I am all over this thing!...Bring on the clays!